I love eggs although as I get older I have to control my in take but still I have a love for Egg. 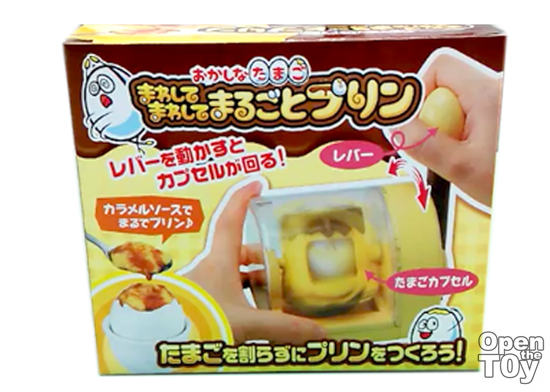 Imagine when I read the news that under TakaraTomy Arts to release a Pudding Egg Maker, I was filled with curiosity of how it work. Let's Play Singapore was kind enough to allow me to have a hands-on for this product and below is a short introduction of my sharing of making my first Pudding Egg with that product! Isn't it easy and fun? Well this product was design more for children in mind to participate in making their own food as they can mixed an egg for snack as children need more protein from the eggs. All you need then is some hot water to soak the blended egg in and wait for it to be ready. Do you want one these maker for Egg Pudding?